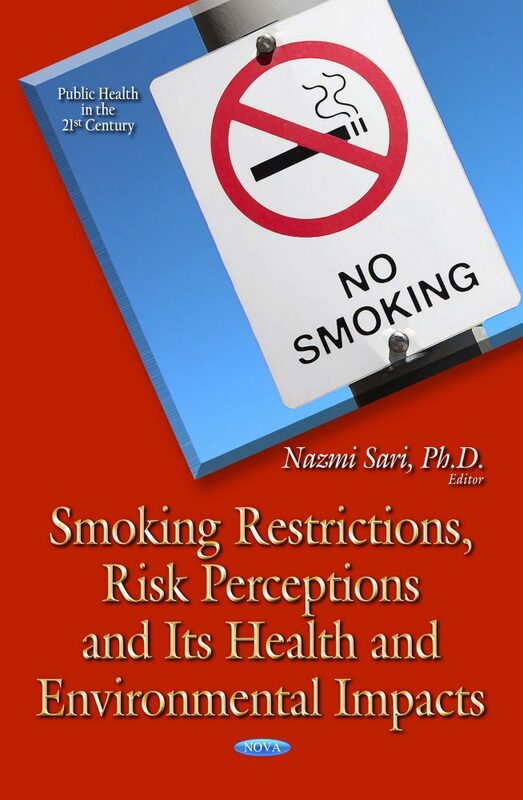 This book includes a collection of chapters which provide a comprehensive review of cutting edge research and offers new evidence on anti-smoking policies and their implications, the health and environmental effects of smoking and the socio-economic and behavioral determinants of smoking. In this edited volume, a number of renowned scholars contribute to this literature with specific emphasis on anti-smoking policies, smoking behaviour, socio-economic determinants and impacts on health. The first section of the book includes chapters on anti-smoking policies and their impacts on smoking prevalence. The second section consists of chapters focusing on the socio-economic and behavioral determinants of smoking with examples drawn from Canada and Japan. The last section includes chapters studying the health and environmental hazards of smoking. This section focuses on the specific health effects of smoking that are not widely examined elsewhere, the role of nicotine in cancer stem cells and the potential harmful effects of ignoring submicron particles in low-tar and nicotine cigarettes.